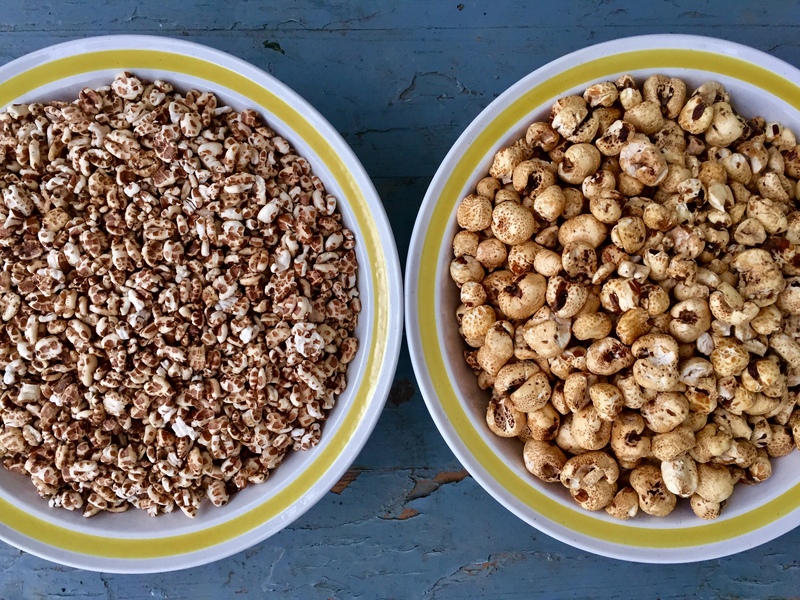 Throughout the year we have our very own spelt and open pollinated corn “puffed” (not popped) by a local organic mill into a unique cereal product. The puffing process involves a pressure chamber, open flame heat, and air pressure. When the heat and pressure are just right, the valve on the chamber pops open and the raw grains inside explode into a mesh cage and are funneled out. A coconut oil and honey mixture are then applied and then it’s all baked and cooled into a seriously delicious snack. You will have to try it to understand! email Jon at jon@ventureheritagefarm.com for ordering or more info.